Total Connect 2.0 upgrade kits are back! If you have been thinking about upgrading your existing Honeywell security system, now is the perfect time. In the past, Honeywell security systems did not see major new features added with newer versions of the alarm control panels. Aside from minor tweaks to the programming options, there was never really a compelling reason to spend the money and get a brand new control panel. 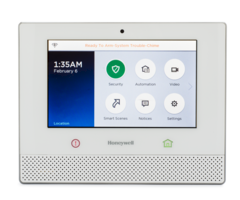 However, there have been some recent technological changes from Honeywell and their AlarmNet division that finally give customers a real reason to look at making a change. First, Total Connect 2.0 was released in 2011. Total Connect is an interactive monitoring service that allows you to remotely arm and disarm your security system from any computer or smartphone. It also allows you to receive instant emails and/or text messages whenever new security system events occur. The original Total Connect service was Honeywell's first offering that allowed customers to get more out of their alarm monitoring service but like most new technologies, it needed to be polished. Total Connect 2.0 is bright and shiny and gives customer what they want. Unfortunately, when AlarmNet released the new Total Connect 2.0 service, it was only compatible with newer Honeywell security systems. 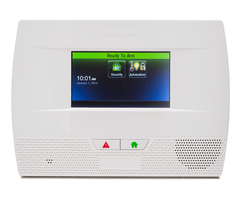 The other major technological change that requires a Honeywell security system owner to consider upgrading is the development of 4G cellular alarm communicators. We have talked in the past about how AT&T is discontinuing their 2G cellular network at the end of 2016. The 2G cellular network was very popular in the past before cell phones turned into mobile computers. All cellular alarm manufacturers, including Honeywell, built their communicators to work on the 2G network. Now that AT&T has but announced an end to the network that these communicators work on, everyone that has an existing cellular communicator needs to start thinking about upgrading to a communicator that will work past 2016. Instead of dealing with the large expense of buying a new security system and a new cellular alarm communicator to take advantage of both these advancements, the GSMV4G-TC2 and GSMX4G-TC2 provide an easy and inexpensive way to upgrade to Total Connect 2.0 and 4G cellular communications. Both AlarmNet Total Connect 2.0 upgrade kits include a 4G cellular alarm communicator and PROM chips for both a VISTA-20P and a VISTA-15P. The PROM chip upgrades an older model VISTA panel so that it will be revision 9.12 and compatible with the newer Total Connect 2.0 service. No wiring changes need to be made and the existing system programming even stays the same. Upgrading couldn't be easier. If you have a VISTA-20P that can't do Total Connect 2.0 or a cellular alarm communicator that will need to be replaced, stop thinking about upgrading and get a new GSMV4G-TC2 or GSMX4G-TC2 today! 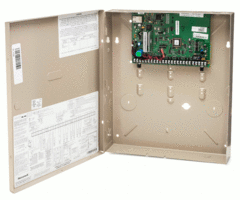 While Honeywell won't officially endorse this, we have found that the PROM upgrade chips that come with the GSMV4G-TC2 and GSMX4G-TC2 will even work with an older model ADT Safewatch panel. Therefore, any VISTA-15P or VISTA-20P, even branded versions, can take advantage of the amazing cost savings that these upgrade kits provide.